Our Edmonton location can provide experienced and professional commercial painters to provide painting services that will exceed your expectations. From large to small projects we provide quality results. Our EverLine Coatings and Services Edmonton Location offers high quality painting solutions for commercial and industrial buildings. We’re here to help you with all of your commercial painting needs. Whether it’s a new coat of paint for your office or you need an entire commercial building repainted, our highly trained crews approach every job with the same level of professionalism and precision in their painting technique. We can complete both interior and exterior painting projects for our commercial and industrial clients. Our Edmonton location employs some of the most experienced and trained painters in the region. Our crews have seen it all when it comes to painting projects. Regardless of how big, small or intricate the painting job is, our Edmonton painters are ready to get the job done. Why should you choose EverLine Coatings and Services? When you choose EverLine for your painting projects you get the EverLine advantage. We are one of the largest purchasers of paint and other related supplies in Edmonton. We purchase in bulk to cut costs and save our clients money. We also have some of the most experienced and highly trained staff in the region with top of the line equipment. Our goal with each project is to achieve perfect results and give you some peace of mind knowing you’ve selected us to repaint your property. We focus on getting the job done on time, within budget and leaving everything tidy and clean when we’re done. 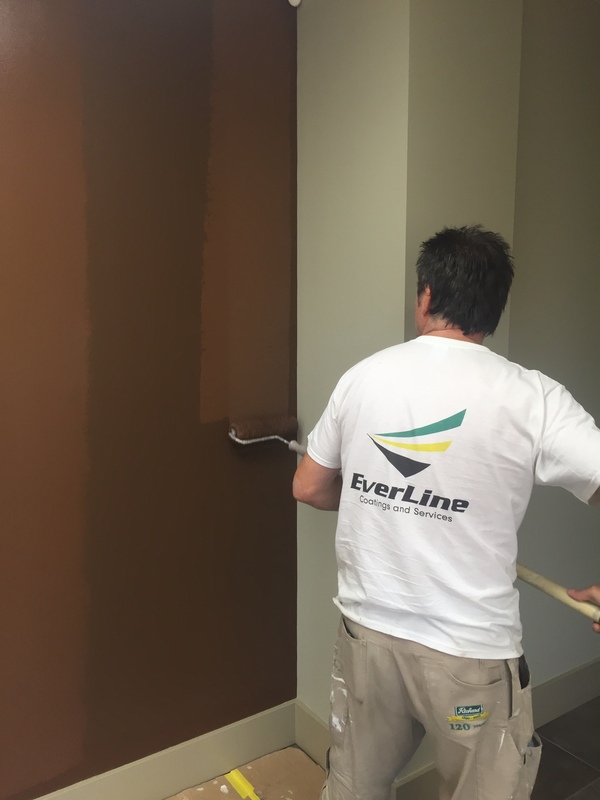 At EverLine, we are considered the commercial painting experts because of our decades of experience, commitment to high quality services, highly trained staff, and top notch painting equipment. We employ entire crews that specialize in painting industrial and commercial applications. When we show up to get the job done, you can rest assured that you’ve selected a crew that has done it all before. To ensure a high quality end product, we only use the best equipment and products to ensure a great application every time that will endure the elements in Edmonton and last as long as possible. We communicate with our clients to set clear expectations to ensure we meet or exceed the expectations with every job we complete. If you will be receiving services from EverLine Coatings and Services in the near future, there are a few steps we ask you to take in preparation. It is important to remove all debris and obstacles from the working area to ensure a safe working environment that will enable our crews to complete the job in an efficient, effective and timely manner. Secondly, please ensure the surface to be painted has been adequately cleaned to ensure a good application and quality result. If you need help cleaning the surface, please enquire about our power washing services. Finally, please notify any users or tenants of the property to ensure a great result.